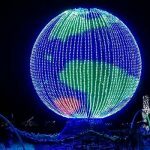 Thanksgiving Weekend Events Metro Detroit 2018 – Oakland County, and SE Michigan Thanksgiving weekend events, activities, and fun things to do.Metro Detroit Weekend Events Calendar for November 21, November 22, November 23, November 24, and November 25, 2018. 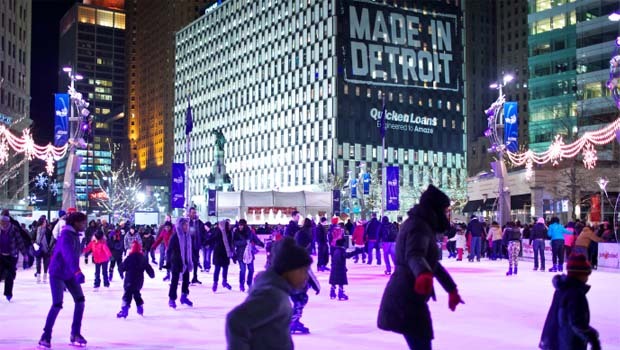 There are plenty of fun things to do in and around Metro Detroit this Thanksgiving weekend. This list will try to highlight some of the Metro Detroit weekend events – big and small – for kids and families. I’m going to be using this article to post events and activities that are either free, or at least family affordable. 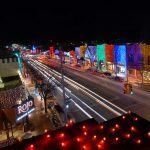 See Downtown Rochester lit up in Holiday glory as the city is adorned with over 1.2 million Christmas Lights. Review, pics, more info. School’s out! Go skating! $10 admission includes skating and unlimited Bounce Zone! Skate rentals are extra. For more info, call 586-731-5006. 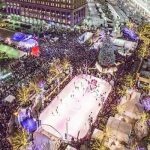 Hours and pricing info for the 2018 Campus Martius Park Ice Skating Season. Everyone is welcome to enjoy a delicious meal on Thanksgiving meal courtesy of First Presbyterian. RSVP ins encouraged but not necessary. Call 248-335-6866 to RSVP or for questions. 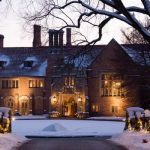 The Meadow Brook Hall annual Holiday Walk explores the Dodge and Wilson family’s winter traditions and activities they enjoyed while living on the Meadow Brook Estate. Info – Pics. 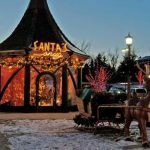 Santa and his helper are available in a beautiful setting at the Village of Rochester Hills. 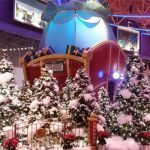 Kids can meet Santa, sit on his lap and discuss their Christmas wish. Bring your own camera as photography packages are not available. 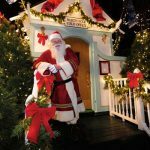 Santa visits at the Village of Rochester Hills are always free! 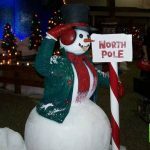 Visit TheVoRH.com for hours / more info. 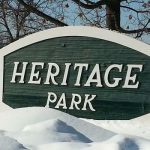 Heritage Park. Participants will receive a list of clues and directions that will help them on their quest to find reasons to be thankful for all of nature’s gifts. Those who complete the scavenger hunt will be eligible for a Thanksgiving prize. $3 per person. Pre-registration is strongly encouraged online at https://recreg.fhgov.com. Enjoy the evening air as you head into Heritage Park after dark at a Full Moon Friday Night Hike. Listen for nocturnal animals, observe the night sky, and heighten your senses along the way! Cost is $3 per person. You can pay in person or pre-register at The Costick Center or by calling 248-477-1135. You can also pay at the door but space is limited. Hike will be cancelled (with refunds) in case of inclement weather. 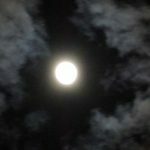 Enjoy some moon facts and folklore as we search for nocturnal wildlife. Dress for the weather. Ages 8 and older. Please preregister, 810-227-8917. $5. A Metroparks vehicle entry permit is required for these events. Daily & Annual vehicle permits are on sale NOW. You can pick one up at metroparks.com OR visit your local Metropark today. 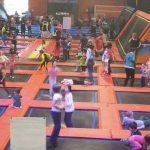 A special night of kids activities at Urban Air Trampoline Park for 4th, 5th and 6th graders. Each AIR 456 event will have Free Pizza, and activities for kids such as Dodgeball Tournament, foam pit challenge, or a slam dunk contest. Includes pizza, glow stick and access to all attractions. Cost is $15. 150 Booths of holiday shopping! Admission is $3. Proceeds benefit local charities. For more info, call 248-988-0426. Pick up your “Shop Small” bag, get a list of participating businesses and the specials they are offering and a Scavenger Hunt map. 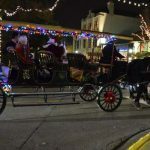 Come out to the annual Milford Christmas Parade, one of the longest-standing Main Street traditions around. Wonderful holiday event for the entire region. Come early! Main Street fills up fast. For more info, call 248-684-9719. Enjoy Small Business in Downtown Lake Orion and then the tree-lighting ceremony. Meet Mrs Claus and her reindeer and enjoy the tree-lighting ceremony near dusk. Low-cost indoor family fun. 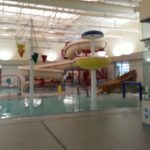 Enjoy swimming, basketball, parachutes, inflatables and more. $3 for residents & $4 for non-residents. Call the Troy Community Center for more info at 248-524-1546. For teens ages 13-18. Each Urban Air Teen Night event will have Free Pizza, and activities for kids such as Dodgeball Tournament, foam pit challenge, or a slam dunk contest. Includes pizza, glow stick and access to all attractions. Cost is $15. Search for some of the wild creatures that call the winter wonderland known as Lake Erie Metropark, “home.” Furred or feathered, big or small, search for them all. Please preregister, 734-379-5020. $5. 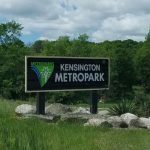 A Metroparks vehicle entry permit is required for these events. Daily & Annual vehicle permits are on sale NOW. You can pick one up at metroparks.com OR visit your local Metropark today. 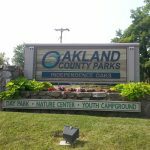 All research and formatting for this Thanksgiving Weekend Events 2018 page provided by Oakland County Moms. Unauthorized duplication of this content without express consent is a violation of our Terms and Conditions and Data Security policies. Violators will be reported to Google Support for infringement violation. This page is intended to be used as a guide. Oakland County Moms does not endorse these events.Oakland County Moms is not responsible for changes to event descriptions, event times or details being altered without notice or cancellations. 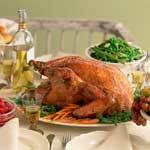 Thanksgiving Weekend Events researched and compiled by Glen LaGrou, co-owner of OaklandCountyMoms.com.